A court here on Wednesday granted anticipatory bail to Congress leader Sajjan Kumar in a case related to the 1984 anti-Sikh riots. NEW DELHI: A court here on Wednesday granted anticipatory bail to Congress leader Sajjan Kumar in a case related to the 1984 anti-Sikh riots. Additional Sessions Judge Vikash Dhull allowed the anticipatory bail plea of Sajjan Kumar, accused of instigating a mob to kill two Sikhs -- Sohan Singh and son Avtar Singh -- in Janakpuri here on November 1, 1984. The case was taken up recently by a Special Investigation Team. 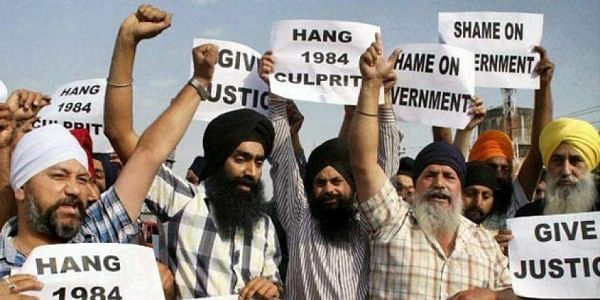 Nearly 3,000 Sikhs were killed, mostly in Delhi, in riots that followed the 1984 assassination of then Prime Minister Indira Gandhi by two of her Sikh bodyguards. Some Congress politicians, Sajjan Kumar included, have been accused of leading the killer mobs.